Photo Contest Details (2019 March - 2019 July) click . Customers who purchased The Bike Shield from January 1, 2016 to July 15, 2019. Submission period: March 15, 2019 – July 15, 2019. Winners will be announced on our website (www.thebikeshield.com) and our Facebook page on July 20, 2019. 1st PLACE (full amount of money back): the picture that has the most number of “LIKE” on Facebook. 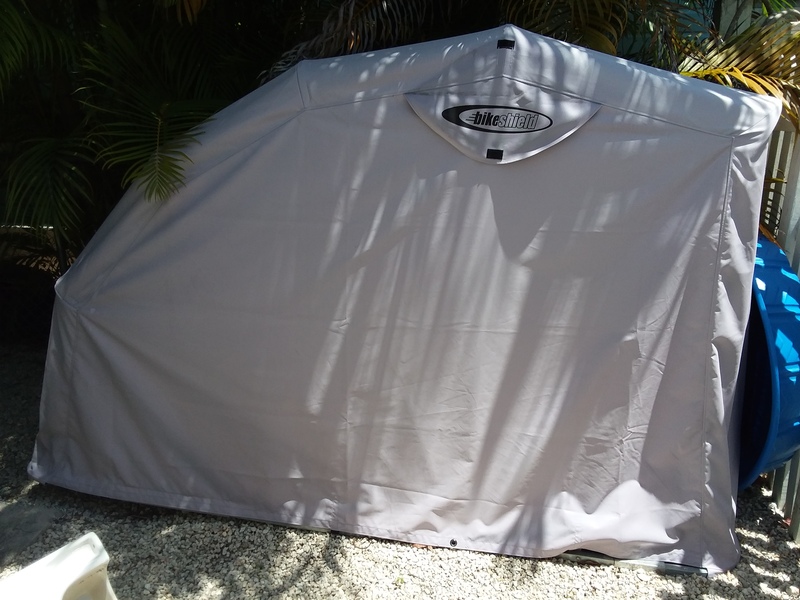 Just take a nice picture of the Bike Shield with your motorcycle and send us an email at sales@thebikeshield.com or Facebook message with your order ID and name.We will post your picture on “Photo contest 2019.03 - 2019.07” album on our Facebook page. You can check your photos and number of likes on here. You can participate the contest only once. Your pictures can be used on our website, Instagram, or other SNS sites later. The Bike Shield Affiliate Program Details! click . Apply now our affiliate program! 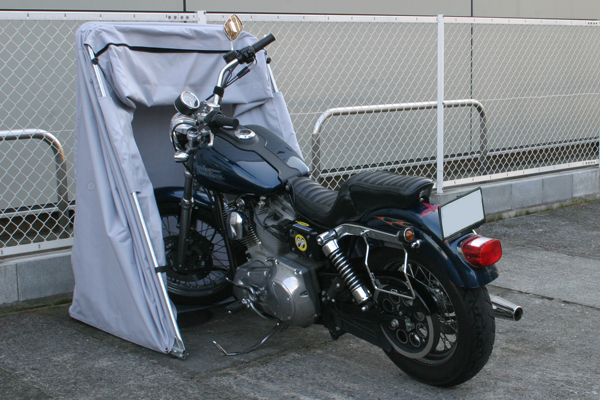 We have been a top seller for more than 10 years as a self-enclosing motorcycle Shelter / garage in the overseas major market. We have started promoting the Bike Shield in North America since last year and already received a lot of high evaluations and highest rating at Amazon and other customer reviews. Click here -> Affiliate Program Join NOW! 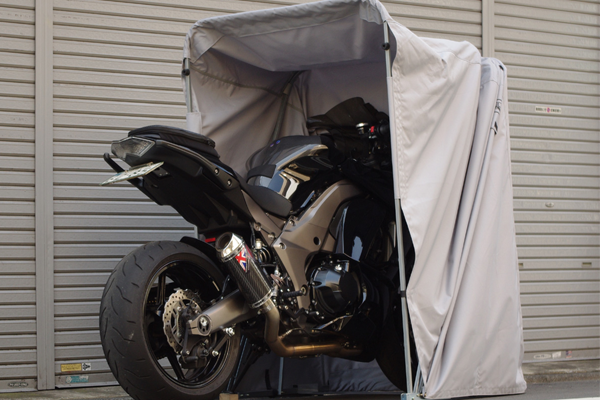 The Bike Shield is an easy and self-enclosing motorcycle storage / shelter / garage / cover unit, keeping your motorbike protected against any external damage such as rain, dust, harmful sunlight and so on. 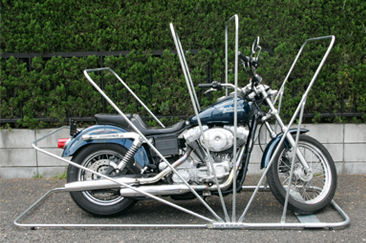 Galvanized 16 square pipes, cross plate and strong locking system, keeps your motorcycle safe and secure. Strictly controlled durable fabric, three times polyurethane coating on the inside and the highest water repellence process on the outside, enables a 100% waterproof cover. Ventilation for air flow prevents inside’s dampness. No contact exhaust pipe and cover, therefore after driving motorbike, you just park and cover, all in just 3 seconds. 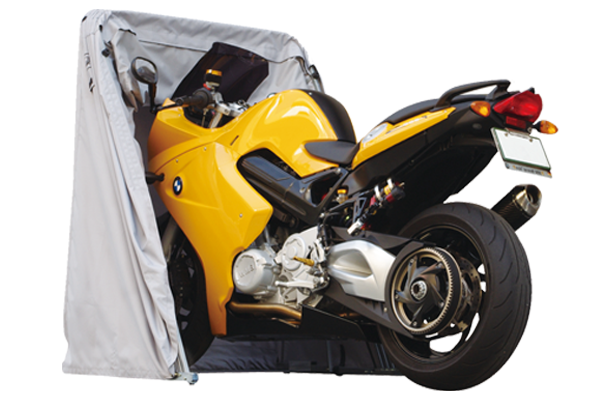 The bike Shield is the new-type motorbike storage cover that drastically extends your motorcycle’s life. 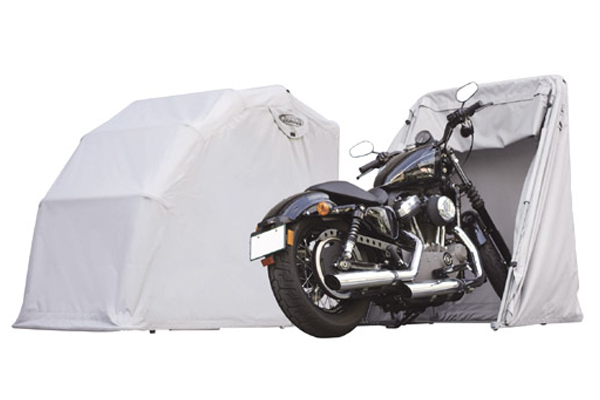 The motorbike storage covers can shelter most of the motorcycles including Harley Davidson, BMW, Honda, Yamaha, Kawasaki, Suzuki, ATV and more. Available in 3 sizes, Junior, Standard, and Tourer. Shield it! 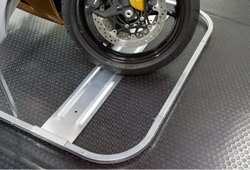 Protect your motorcycle with strong steel square piping. Galvanized square pipes. The Bike Shield is safe. 16 strong steel square pipes enclose your bike entirely. All of the square pipes are galvanized inside and out enabling long term rust resistance. 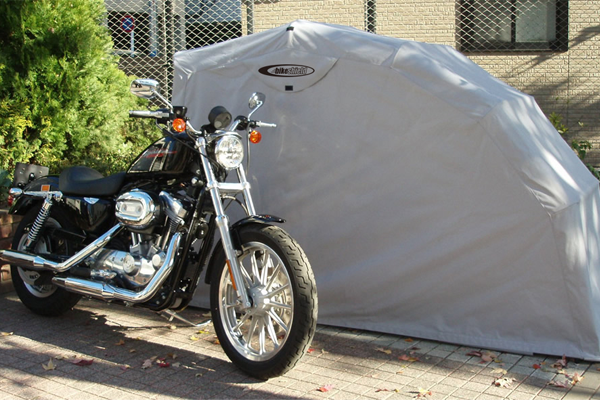 When you park and cover, the arch shape frame keeps your bike safe from any potential risk. We also adopt a maximum toughness engineering plastic for pipe insertion, which makes pipe insertion easier and pipe joint parts stronger. The Bike Shield is strong and stable. 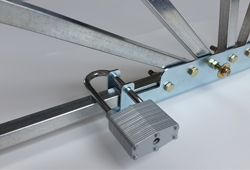 Galvanized lock System. The Bike Shield is secure. Visually shutting your bike down from outside will secure your bike, and more, The Bike Shield provide easy locking system. Nobody can touch your bike, once you shield it and lock! When you park your bike in The Bike Shield, you put your bike on the cross plate. This makes The Bike Shield more stable and protects from the wind. The Bike Shield is supposed to be fixed in the ground. 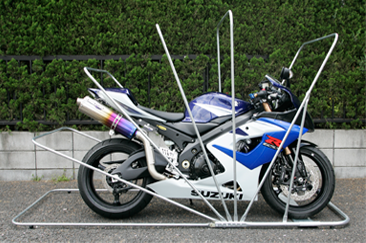 To prevent any accident caused by strong wind, The Bike Shield is supposed to be fixed into the ground by using anchor bolts with two holes on the cross plate. It is also recommended to place The Bike Shield against the wall. Other additional safety options can be adopted by customer’s decision. If you unable to make holes in the ground, you can put weight such as blocks on the edges of the cross plate with your decision. 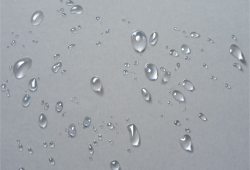 The fabric used in manufacturing the bike shield has three times polyurethane coating on the inside and the highest water repellence process on the outside, which enables a 100% waterproof cover, very heavy polyurethane coating on inside entire 2000mm H2O/m, the highest water repellence process on the outside. Our cover does not have any seam on top. 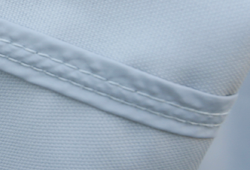 This means that there is absolutely no water leakage from seam exposure. 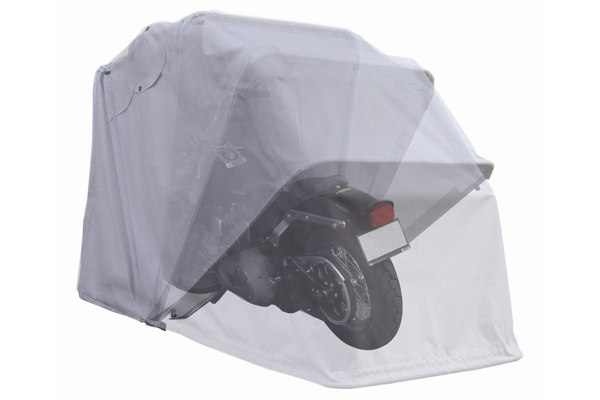 For dehumidification of inside of the bike shield, the bike shield facilitates ventilation windows on the left and right sides. You do not need a seam sealer. The seams (side not on top) are strengthened by stitching up with waterproofing material. We strictly control durability of our fabric under FITI Testing & Research Institute in Korea. Each and every time we produce our fabric, we test for Tensile Strength, Fabric Count (density), Weight, Water Resistance and Water Repellence. 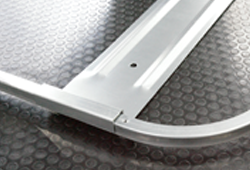 Therefore, we are able to keep production of Bike Shield with unquestionable quality. Comment : 2014 Kawasaki Vaquero. Standard (Medium) size will be too tight. Comment : If you want to have enough room,the Tourer (Large) size will be better. You can also purchase from Amazon or eBay. Click on "eBay" or "Amazon" icons bellow. The Bike Shield Junior (Small) size will be available around beginning of May 2019. If you want to purchase with "GBP" (Great Britain Pound) please click "United Kingdom" tab bellow. 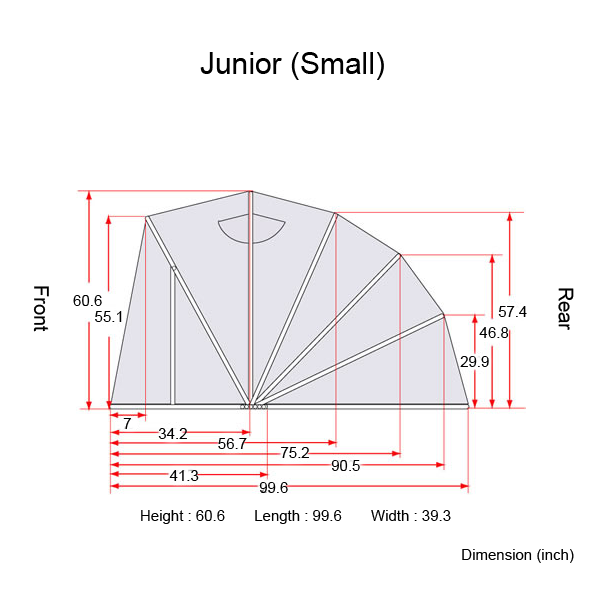 The Bike Shield Junior (Small) size will be available around beginning of April 2019. 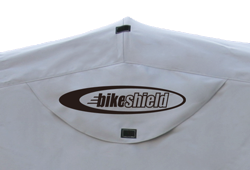 The Bike Shield carries a one year warranty against manufacturing defects in materials and workmanship. The Bike Shield is supposed to be fixed on the ground using the cross plate and anchor bolts so that it prevents The Bike Shield from falling down in high winds. It is also recommended to place The Bike Shield against the wall. Under customer’s responsibility, The Bike Shield has to be secured to prevent any accident caused by strong wind, heavy snow or other natural disasters. Warranty does not cover defects or damages caused by accidents, alteration, improper installation, fire, earthquake, flood, lightning, storm, and other natural disasters. 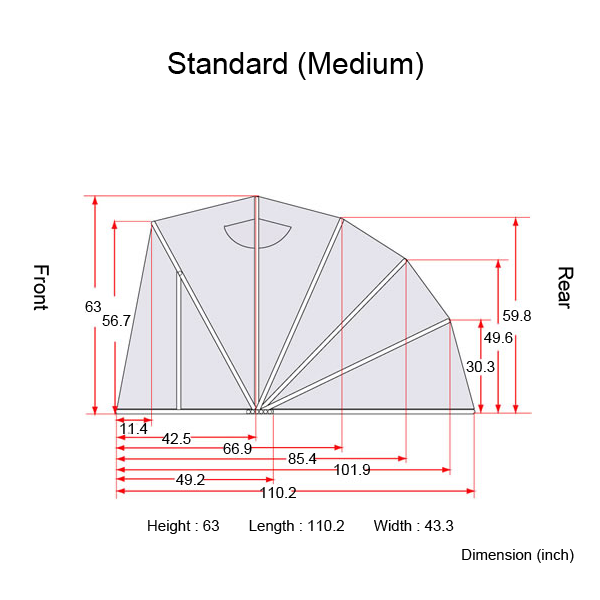 Please check the model (size) of the Bike Shield, the model (size) is printed on the box. Before you assemble The Bike Shield, all the parts should be double checked for any damages or missing parts with The Bike Shield assembly instruction. All the parts of the Bike Shield are fully guaranteed by us. You can return the New Bike Shield product for a full refund within 30 days from the date of actual delivery date. New Bike Shield: This describes brand new, unopened, completely factory sealed packaging. The customer should contact us before returning the Bike Shield. The customer is responsible for shipping costs back to us. Opened Box Item: This describes the sellable new item. It means The Bike Shield box has been opened but The Bike Shield has not been assembled. All the pipes should be bound with cable ties. The Bike Shield cover packaging should not be opened. The customer should contact us before returning The Bike Shield. The customer is responsible for shipping cost back to us. Missing or Damaged Shipments: Keep the box, packing materials, all shipped parts, and contact us right away. The customer should snap a picture of the missing or damaged part, Please contact us ASAP. We will replace the order right away. If it wasn't for my bike shield my bike would have been buried in snow and hit by a tree. Just wanted to share how GREAT your product is!! 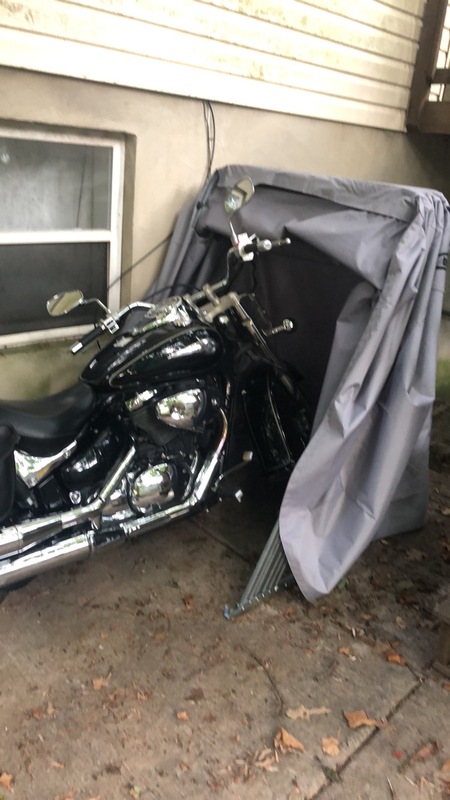 Now that the dust has settled and we are back in business I wanted to send you this picture of our BikeShield AFTER hurricane Irma in Key West in September 2018!! If you watched the news you could see the devastation that the Keys took due to Hurricane Irma. Unbelievable hurricane-force winds took down trees, blew off roofs etc ...our BikeShield and bikes were in perfect condition after the storm!! Just wanted to share how GREAT your product is!! I purchased the touring Bike Shield I believe almost 2 years ago. This year either the end of April or the first of March my area experienced a fierce storm with high winds that lasted about 3 days. My bike was safely tucked away and I had been away from home for a few days during and after the storm. When U came home I was greeted by a large tree that had fallen...on my Bike Shield. We were able to get the tree off the next day to inspect the damage. The tree had fallen parallel to the bike falling from the rear towards the front of the bike. While the tree was large and I am sure would have caused great deal of damage to my bike I only sustained about $2600.00 of damage. I'm sure the Bike Shield could not withstand the weight of this tree but luckily it was strong enough to deflect the tree as it fell. Since it was not a direct fall into the bike my damage was nominal. I am sure that had I not had the Bike Shield the damage would have been much worse. The damage to the Bike Shield was significant and it will need to be replaced and I will definitely be purchasing another one. I purchased a Bike Shield a year ago and have been very pleased with how well it worked and took care of my bike. A few months ago, we had a terrible storm come through and it snapped several of the connectors. 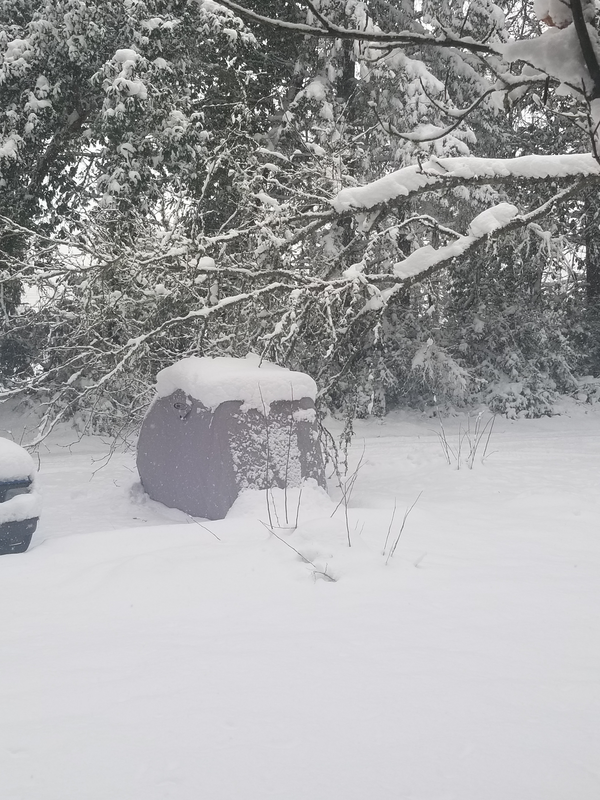 I didn’t have my bike in it at the time since I had put it away for the winter, and was storing the kids bicycles in it (not nearly enough weight for proper anchoring). I contacted customer support and they didn’t bat an eye, they just shipped me a new bag of connectors. It’s that kind of customer service that makes me want to continue doing business with a company. If you’re looking for way to protect your bike and want a great company to work with, I highly recommend Bike Shield! Thank you for great review and support. Bought this for my husband as a birthday gift to store his Harley nightster. He LOVED it. So easy for driving in and out. Very sturdy. Well worth the price tag. The cover has been green except 20 mph winds have knocked the cover and bike over twice. Thank you for purchasing The Bike Shield and we are sorry for what happened to your The Bike Shield. To prevent any accident caused by strong wind, The Bike Shield is supposed to be fixed into the ground by using anchor bolts with two holes on the cross plate. It is also recommended to place The Bike Shield against the wall. If you have any questions please contact us via sales@thebikeshield.com. 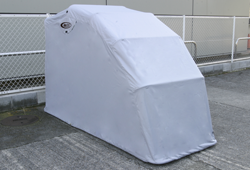 An excellent product to protect your motorcycle. Beautifully designed, well constructed and first class materials. There's not only written instructions but a utube video guide as well. I highly recommend this product. This worked out pretty well. The height on the standard size JUST fits my 2016 Kawasaki Versys 650 (which is actually lowered as well). The assembly process was fairly straight forward once you get the hang of it. I certainly hope it holds up to the elements etc. Overall I'm happy with this product. I was getting pretty lazy and just leaving my bike to get rained on, etc. This makes it waaaaay easier. I love the bike shield. It is large and roomy. Relatively easy to assemble. Those with no mechanical skills may want to get help. I had no problems though. I drilled extra holes in the bottom frame to securely anchor it to the parking lot with some steel 60 d nails. La ringraziamo per il Suo interesse verso i prodotti The Bike Shield. La informiamo che il nostro The Bike Shield Junior (Small) è adatto per la 2017 Triumph Street Twin. Restiamo a Sua disposizione per ulteriori informazioni e Le auguriamo una buona giornata. Do you ship to Australia or New Zealand? if so at what cost. Thank you for your interest in The Bike Shield. 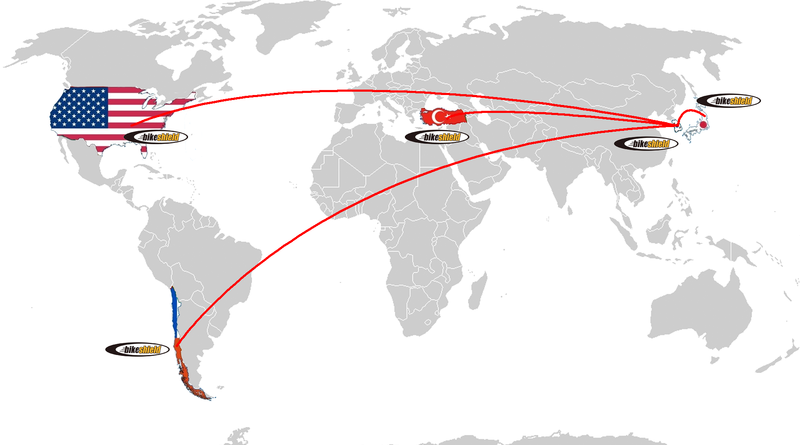 Yes, we can ship to Australia and New Zealand from the Netherlands. Could you send us your shipping address? We can prepare a quote for you. Yes, you can purchase parts. Can you let us know which parts you need? We can provide links for the parts. Yes, we can ship to Dubai from Netherland. 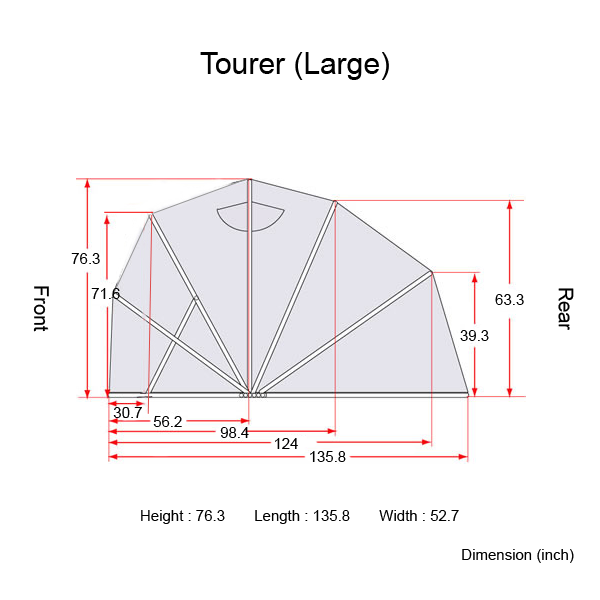 Will my 2017 Triumph Tiger 1200 XCA fit in the standard size shield? Bike without luggage i.e. without the panniers and top box fitted. The Bike Shield Standard (Medium) size will fit on 2017 Triumph Tiger Explorer 1200 XCA without a top box. 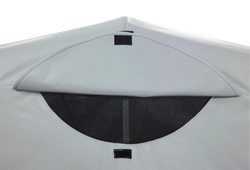 If you have to box we recommend The Bike Shield Tourer (Large) size. Buonasera. 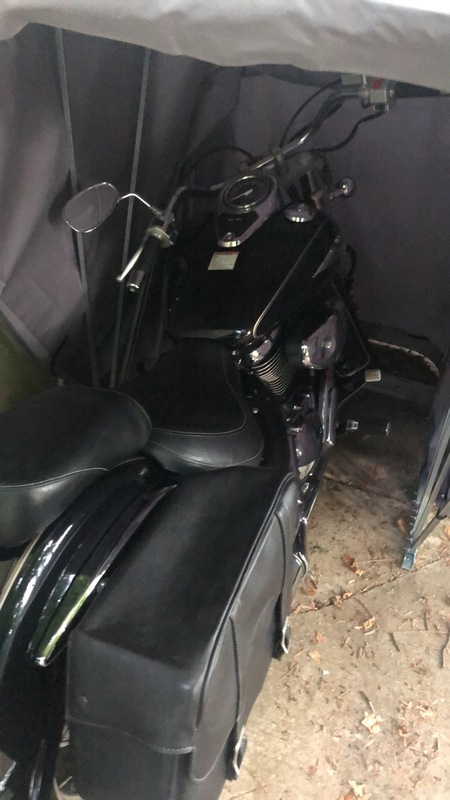 Dovrei acquistarlo per la mia Harley Davidson street rod 750. La struttura del prodotto, permette di evitare la formazione di ruggine e danni da intemperie? 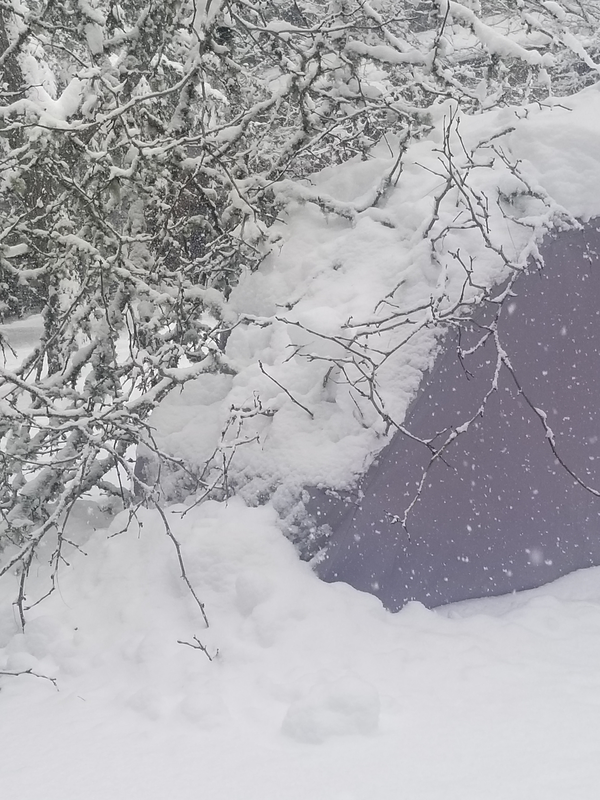 Dovrei lasciare la moto fuori per tutto l'inverno (pioggia, neve e temperature sotto gli 0 °C). Grazie. 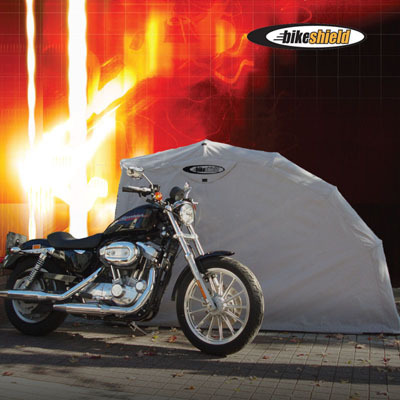 La informiamo che il nostro The Bike Shield Standard (Medium) è adatto per la Harley Davidson Street Rod 750. Sì, The Bike Shield può proteggere da neve e pioggia. Ok. Grazie. Per la ruggine? Tutti i tubi quadri sono zincati all’interno e all’esterno per garantire la massima resistenza alla ruggine. Ho una.Moto guzzi california jackal misure larghezza 85 cm lunghezza 2,35 cm. Quale copertura è meglio che acquisto la Junior o la medium. La informiamo che il nostro The Bike Shield Standard (Medium) è adatto per la Guzzi California Jackal. Can I still lock my bike w a chain to something under the bike shield? The Bike Shield bottom part is open. We can't advise you on this matter. You have to measure it by yourself. Trying to take it down for the winter to store. How do I do this? Thank you for purchasing The Bike Shield. 1. Please release the cover hook (metal ring) from the tube binding bar. 2. Please undo large velcro from rear and front of the cover. 3. Please release AP Tubes C and I Tube. Please use a hammer and hit C and I tube to release AP Tube. 4. If you want to disassemble frame too. Please release all the bolts. Will my gold wing trike fit in the tour ? No, The Bike Shield Tourer (Large) size will not fit on trikes. Currently, we don't have the size for trikes. We develop products of exceptionally high quality to satisfy customers worldwide. Since the first products were shipped to Japan in 2004 under the name of Bike Barn, we have received high reliance in quality and the highest product recognition in the market. Comparing other similar products, The Bike Shield is far more superior in quality and durability. Now, we are the best-selling company in Japan. Also, we hear customers’ voices. Customer concerns regarding quality are communicated immediately to production departments, and improvements made. 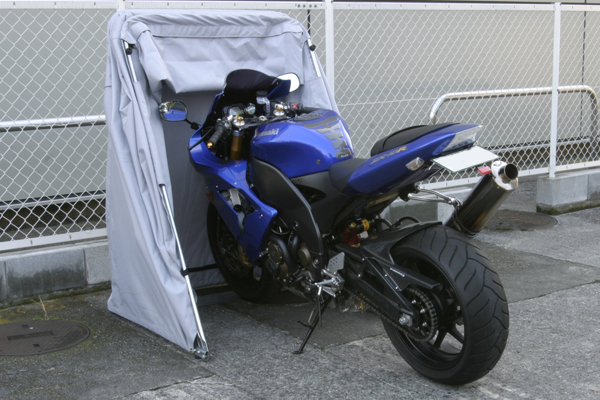 The greatest advantage of The Bike Shield is that users can park and cover their motorcycles all in just three seconds. Once you try it, you no longer use any other substitutes! We would like to hear from you. Please send us e-mail at sales@thebikeshield.com, then one of our Account Managers will contact you. Keep in contact with us via the social networks!